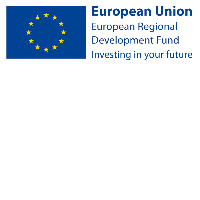 The SEUPB has published information on upcoming funding calls for the ‘Sustainable Transport’ objective of the INTERREG VA Programme. This can be accessed on the SEUPB website. This €40million (ERDF) objective will promote cross-border, intermodal and sustainable mobility in the eligible region. Applications to the calls must be received no later than 3pm on Friday 29th January 2016. To assist those wishing to make an application under any of the three sustainable transport areas, a thematic workshop has been organised for Monday 7 December 2015 in Armagh. There will also be a live stream of the event. Details on how to book a place at the workshop, along with information on accessing the live stream and background documentation for the calls under Sustainable Transport can be found via the SEUPB website. To register direct go click here.